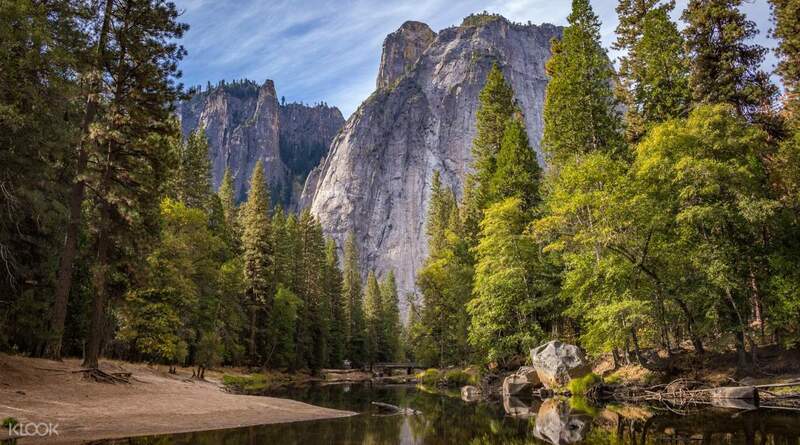 Yosemite National Park is one of the world’s most well-known National Parks, as it is home to numerous protected natural wonders. Departing from San Francisco, you’ll pass through the Central Valley, which is one of California’s most pertinent agricultural areas. Taking up a massive 40-60 miles of land, it is a rich land full of farms, dedicated to produce and is considered a heartland of California. 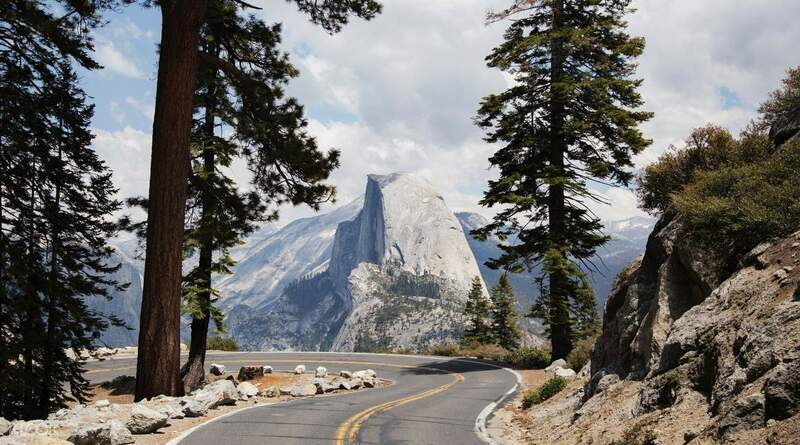 The next area is at the Sierra Foothills, located at the foot of the same Sierra Mountain Range that you’ll be able to view well from Yosemite. This area is well known for its vineyards and rich wine production. 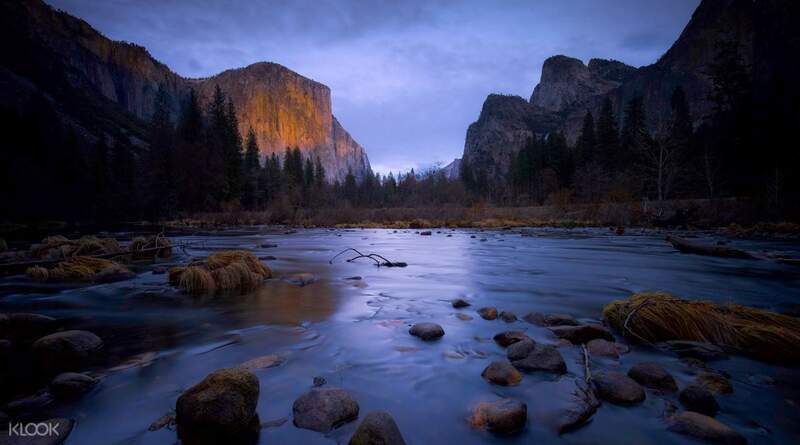 You will also get the chance to see the winding Merced River, a great place for swimming, hiking and even gold-panning! After this, you’ll see the Sierra Nevada Mountain range up close for yourself, and wonder at the majesty of them as they overlook the park. Throughout this trip, your driver guide will give you important information about each stop, so you’re also able to learn about the bounties protected within this National Park. 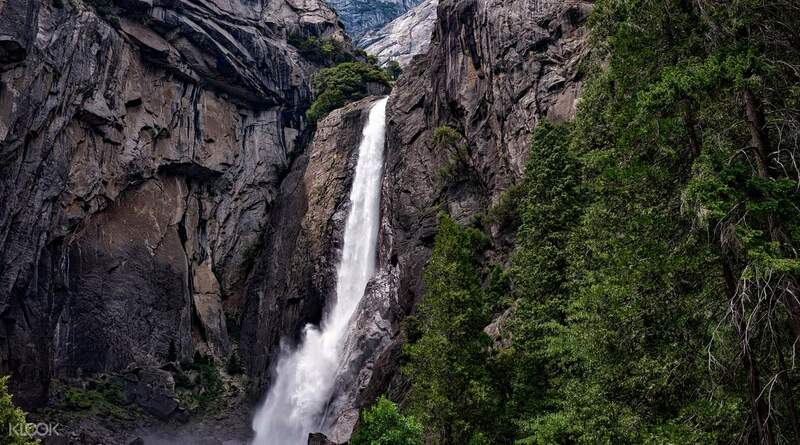 Biological diversity at its finest – see a glacial valley, giant sequoia groves, a wildflower garden, and many more! It was a great experience. The tour sign up is just near the city center and I managed to get in the tour bus right on time. It was a smooth travel and we were able to get around enough at Yosimite National Park. It was a great experience. The tour sign up is just near the city center and I managed to get in the tour bus right on time. It was a smooth travel and we were able to get around enough at Yosimite National Park. The tour is great since Thomas is friendly and keeps on giving us tips and info. It started late since the weather is bad but we kept on the schedule and still given ample time to explore. There's a snow shower when we went there so it's a bit cold and wet but overall, Yosemite is majestic. It's still beautiful even if covered in snow. The tour is great since Thomas is friendly and keeps on giving us tips and info. It started late since the weather is bad but we kept on the schedule and still given ample time to explore. There's a snow shower when we went there so it's a bit cold and wet but overall, Yosemite is majestic. It's still beautiful even if covered in snow. The trip was comfortable and pleasant. Air is fresh. Scenery is magnificent. Really don’t want to leave. If I had time, I would spend at least one night here. The trip was comfortable and pleasant. Air is fresh. Scenery is magnificent. Really don’t want to leave. If I had time, I would spend at least one night here. Driver's service is good. It's a nice trip to beginner of visiting Yosemite, and I plan to stay longer next time. Driver's service is good. It's a nice trip to beginner of visiting Yosemite, and I plan to stay longer next time. Great tour, especially the tour guide and driver is nice, and he gave a thorough introduction to Yosemite and San Joaquin valley. Great tour, especially the tour guide and driver is nice, and he gave a thorough introduction to Yosemite and San Joaquin valley. Tour bus came and left on time.Travel time from SFO to Yosemite is around 5hrs. and there is 30 minute restroom stop with convenience store and restaurants like Popeye's and Burger King.The bus also has its own toilet but people should learn how to use it properly and avoid throwing their trash on the floor or on the bowl.The Driver is also our tour guide.When you reach Yosemite you are given around 4 hours of touring the place on your own.It is advisable that you don't take a hike going to the Mirror Lake because it will consume a lot of your time and might be left by the bus.Inside Yosemite there are free shuttle buses that can transfer you to different areas.Overall we enjoyed the tour although it would be better if the bus have stronger aircondition and the windows have curtains or blinds because of the direct sunlight. Tour bus came and left on time.Travel time from SFO to Yosemite is around 5hrs. and there is 30 minute restroom stop with convenience store and restaurants like Popeye's and Burger King.The bus also has its own toilet but people should learn how to use it properly and avoid throwing their trash on the floor or on the bowl.The Driver is also our tour guide.When you reach Yosemite you are given around 4 hours of touring the place on your own.It is advisable that you don't take a hike going to the Mirror Lake because it will consume a lot of your time and might be left by the bus.Inside Yosemite there are free shuttle buses that can transfer you to different areas.Overall we enjoyed the tour although it would be better if the bus have stronger aircondition and the windows have curtains or blinds because of the direct sunlight. It was okay for a day tour, but one day is not enough for Yosemite, considering it took almost four hours just to get to Yosemite. We only had 5 hours in Yosemite. It was okay for a day tour, but one day is not enough for Yosemite, considering it took almost four hours just to get to Yosemite. We only had 5 hours in Yosemite. on time, good driver (also as a tour guide). comfy bus and facility. on time, good driver (also as a tour guide). comfy bus and facility. great place for nature lovers! will be recommending to others for sure. great place for nature lovers! will be recommending to others for sure.